I have to admit that Coke campaigns done thus far has always garnered massive traction in terms of brand visibility. Even during valentine’s day, the chance to create something really innovative is not spared. This really interesting initiative aims to let you consume Coke with someone else. With such a simple yet powerful message, it becomes evident that enjoyment comes in pairs. 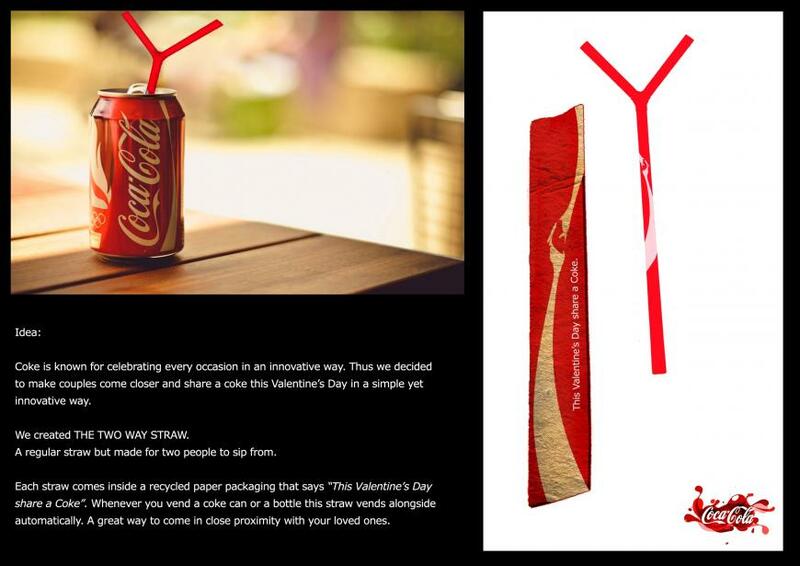 As you vend a coke can, it comes with this beautiful straw alongside the packaging with the tagline “This Valentine’s Day share a coke”. Beautiful.